NC State alumna Kara Hooser credits NC State’s online program and its faculty with putting her on a path to educational and career success. 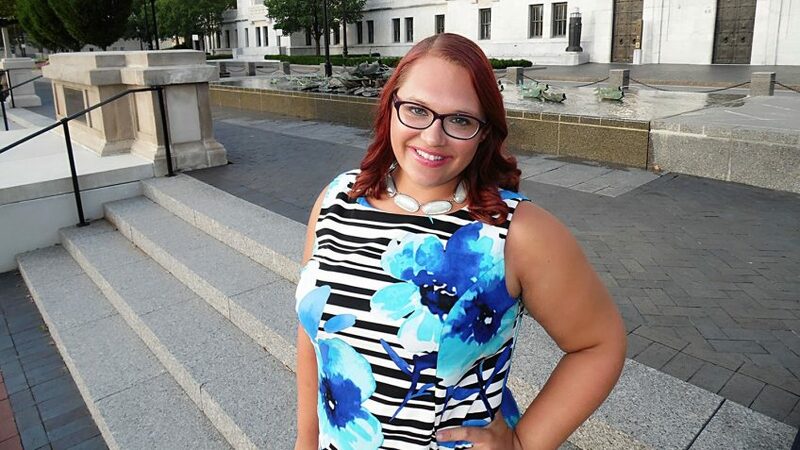 NC State alumna Kara Hooser is currently working toward her Ph.D. in Political Science from The Ohio State University. Hooser feels achieving her educational and career goals would have remained a dream had it not been for NC State Online and Distance Education. In August 2012, Hooser completed an associate degree at a local community college in Cleveland, Ohio, where she’s from. After reaching her first goal, it was onto the next, pursuing a bachelor’s degree. But being a stay-at-home home to three kids, Hooser knew completing her degree the traditional way was out. “I needed a program that fit my long-term goals as well as provided the flexibility I needed to remain at home with my children,” Hooser said. She also wanted to make sure the program she selected met the same standards as a traditional campus program. She wanted to know that her degree came from a well-known brick and mortar school. “NC State was the perfect fit and met all my expectations,” said Hooser. She enrolled in NC State Online and Distance Education’s Leadership in the Public Sector (LPS) degree completion program. During her final year of the LPS program, she was able to work part time as a research intern for the United States Agency for International Development (USAID). “The flexibility of the online program allowed me to easily juggle my internship while completing my school work. Both the position and my classes were virtual, so I could work whenever and wherever I needed,” Hooser said. Three years after graduating from NC State, Hooser is now a University Fellow at The Ohio State University, earning her Ph.D. in Political Science. Hooser said none of this would have been possible had it not been for the faculty and staff who are dedicated to their student’s success. “I will forever be grateful to Dr. Amanda Edwards and my advisor LaShica Waters from the LPS program. The two of them have been part of my incredible support network long after I graduated and are really the gems of the LPS program,” Hooser said. Edwards, director of the Leadership in the Public Sector online bachelor’s degree completion program, taught Hooser’s Justice System in the American Political Process class. “One of my favorite parts of this course was the use of group assignments — it really allowed me to get to know fellow classmates in a virtual classroom and made me feel more like a traditional student,” Hooser said. She said the assignments have helped her with group collaboration in her Ph.D. program. Hooser praised many other instructors, including Dmitri Mitin and Sherry Deleon. Hooser said Deleon’s course really pushed her outside her comfort zone and made her evaluate her world views. “We had excellent opportunities to grow our own opinions in an informed and analytic way,” Hooser said. She also credits Deleon’s course for really preparing her for her career. According to Hooser, NC State helped pave the way for her current successes.